The Finnish exhibitors extend their thanks to the Germans for their hospitality and the brilliantly run Grüne Woche Fair. 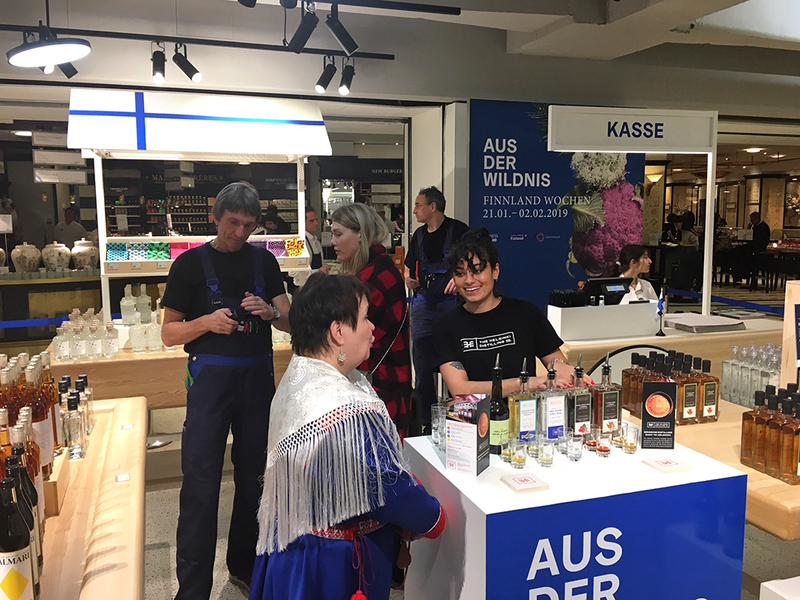 A pleasing number of people were able to check out Finnish products and service innovations during the Fair days. “It was great to see that visitors find our Arctic food and unpolluted nature interesting. The Fair also succeeded in bringing together farmers from all over the world. Collaboration with the Grüne Woche Fair was smooth and fruitful,” says Juha Marttila, President of the Central Union of Agricultural Producers and Forest Owners (MTK), thanking both the visitors and organisers. We didn’t want to return home to Finland without a trace, so made sure that you’ll continue to find Finnish delicacies in Germany. In addition, products from individual companies are available also from other locations. See you again at the Fair next year! Plans are already under way for the future. The Central Union of Agricultural Producers and Forest Owners MTK is the union and interest group for farmers, forest owners and rural entrepreneurs. The occupations and businesses of our membership are all founded on renewable natural resources and their sustainable and economical utilisation.